Bloomberg has reported that Microsoft has acquired GitHub. The ink has dried. Official confirmation of the deal is due on Monday, and not everybody is happy about it. You don’t have to look far to see this. Just scan Twitter, and you’ll see people proclaiming the death of GitHub (and even open source software). Many are making bold promises to switch to rival services — like BitBucket or GitLab. It's in the DNA of every company to generate profit for its owners, and this truth will eventually bleed through all the superficial kindness on which they built their community into an empire. The thing is, while I vehemently disagree with them, I get where they’re coming from. Their concern is understandable and entirely rational. If you build software for a living, you are in some measurable way reliant upon GitHub to do your job — even if you don’t have an account yourself. Microsoft, on the other hand, hasn’t always operated in the spirit of openness and collaboration. Redmond is no stranger to controversy. Over the years, it has been involved in several antitrust lawsuits involving both the United States and European Union, who argued that Microsoft abused its market-leader position in order to shut out competition. 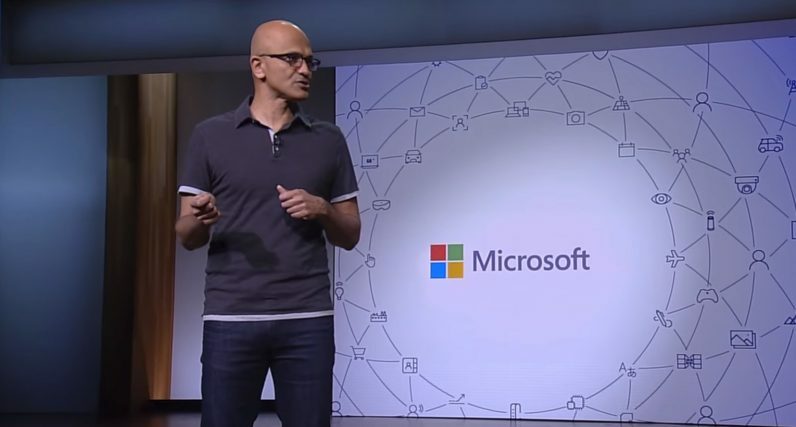 Microsoft has also been accused of using the “embrace, extend, and extinguish” strategy to cement its position in a number of areas: from productivity software, to the broader Internet itself. Oh, and in 2001, then-CEO Steve Ballmer described Linux as “a cancer.” That’s some bold language, and at the time upset an awful lot of people. But surely Microsoft in 2018 is a fundamentally different beast to the Microsoft of 1998? When Satya Nadella took the reigns in 2014, he fundamentally reformed Microsoft’s culture. I’d argue for the better. For once, Microsoft didn’t entirely work behind closed doors; it has uploaded several of its most important projects to GitHub under open source licenses. You can now delve into the internals of the .NET framework, or see how Visual Studio Code is built. This is something that was unthinkable ten years ago. Microsoft doesn’t just have a GitHub page; it’s also one of the most active contributors to open source on the site, outstripping both Google and Facebook. When it’s not releasing its code to the public, it’s porting it to other platforms. Visual Studio Code, for example, runs on both Linux and macOS. Its SQL Server database system has also been ported to Linux. And that says nothing about the company bringing Linux to Windows, via the Windows Subsystem for Linux. Or, indeed, of Microsoft porting the Bash shell to Windows 10. If you had to epitomize Nadella’s accomplishments at Microsoft, it’s to bring about a sense of openness. This has been hugely beneficial to Microsoft, both from a PR perspective, but also in terms of restoring its place as the most innovative company on the planet. Microsoft’s not about to undermine that by messing with GitHub. If it did, it would lose all the goodwill it’s garnered over the past four years. But looking at the company’s more recent big acquisitions, that fear seems unfounded. When Microsoft acquired LinkedIn in 2016, nothing really changed for users. When you visit the site, there’s little to suggest you’re using a Microsoft product. LinkedIn has retained much of its autonomy and identity. Indeed, the company is still headed by its pre-acquisition CEO, Jeff Weiner — although he answers to Microsoft’s leadership. I don’t see why things would be any different for GitHub, especially when you consider the fact that it’s a particularly beloved company, and has a strong and visible brand identity. That said, there are some legitimate concerns to be had about the deal. With both LinkedIn and GitHub in its pockets, Microsoft is in a position to define how tech recruitment works. That’s a worry that I think many people will keep an eye on. But fears about the company repeating its 90s-era shenanigans feel unfounded. Microsoft is clearly a different company now. It’s time to move on.